The AirLAN2000 provides a high speed WireLess Ethernet interface for PC/104-Plus systems. 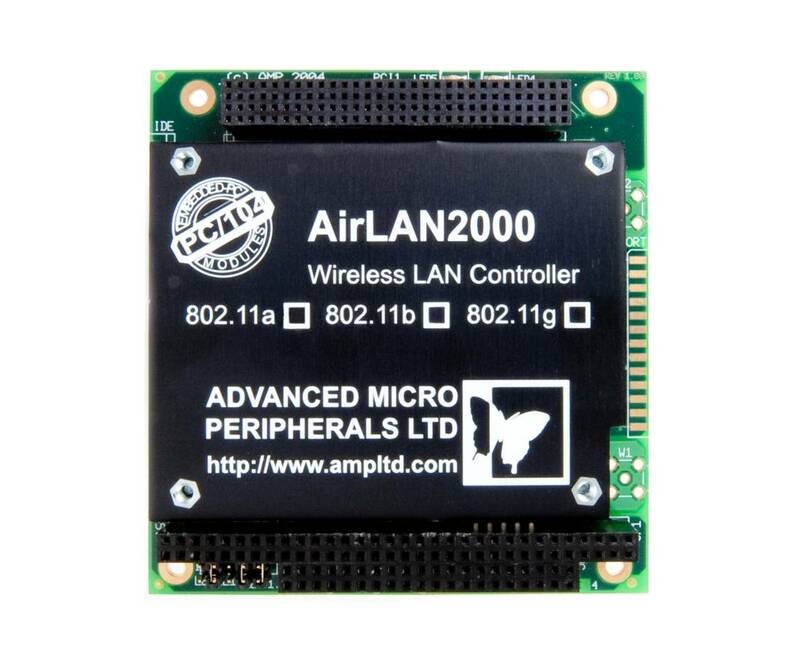 Utilizing the high performance 32-bit PCI interface the AirLAN2000 is available with Wireless Ethernet support at speeds of up to 54/108MBits/sec. The AirLAN2000 is available with options supporting a wide range of IEEE802.11 Wireless standards including 802.11a, b, g and h standards. The AirLAN2000 series is designed for demanding embedded applications and also features support for both the WPA (Wi-Fi Protected Access) and AES (Advanced Encryption Security) standards for securing wireless networks. Support for Diversity Antenna configuration (option) can improve performance and range over tens of kilometers even at low transmitter power. The AirLAN2000 is available with drivers for Windows98 and Linux. Other drivers may be available on request.